To successfully generate both very simple to complex radiochemistry materials, worldwide nuclear medicine departments depend on Trasis for their AllinOne universal and MiniAllinOne compact synthesizers. Medical professionals throughout this industry use small amounts of radioactive tracer materials to diagnose and treat a wide variety of diseases. The AllinOne PET Tracer Synthesizer is a cutting-edge solution for tracer production and development. 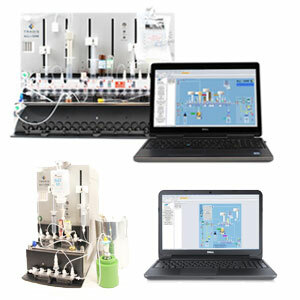 The MiniAllinOne is a theranostic synthesizer for easy and reliable delivery of radiopharmaceuticals. As a system requirement, the synthesizer uses nitrogen, and our Model #160 cartridge check valve is mostly used to ensure that this gas, as well as any liquids, do not go back up into the device’s pressure circuit. Additionally, the synthesizers use our Model #302/302 check valves (pictured) to evacuate waste from the unit’s HPLC system. 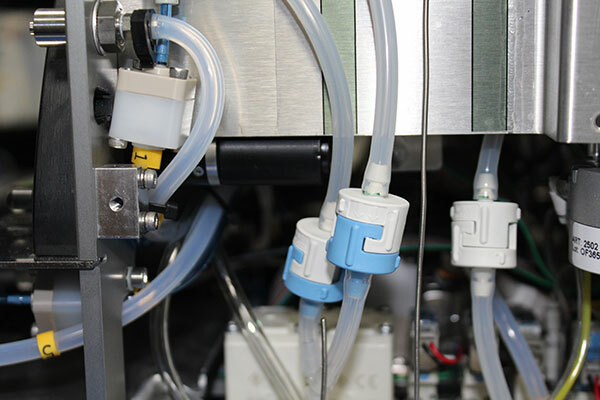 Because these synthesizers are using strong acids, bases, solvents, etc., Trasis relies on Smart Products’ versatility of materials available for our custom-built check / pressure relief valves. 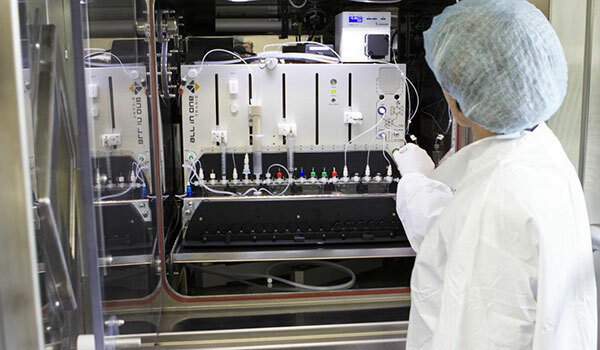 Headquartered in Belgium, Trasis designs and manufactures radiopharma equipment to “enable patients to have access to a wide range of radiotracers in the safest and most timely manner.” For more information, visit trasis.com. The Standard Cartridge Model #160 Check Valve is a great flow control solution with an O.D. size at 5/8" (15.88mm). Additionally, this model, like all our valves, can be customized by plastic body material, o-ring, and opening PSI. Model #160 is available in Polypropylene, Nylon, Acrylic, Acetal, PVDF, Polycarbonate, Ultem®, and ABS plastics. O-ring options include Buna-N, EPDM, Viton®, and Silicone. Available opening spring pressures range from 0.17 to 20 PSI. Easily mounted in-line for liquid or air applications, our Series 300 Modular Check Valves combine the fitting and check valve in one piece. This series allows you to mix and match any two end fittings or use the same configuration on both ends. The Model #302/302 is a 1/8" (3.18mm) barbed check valve. 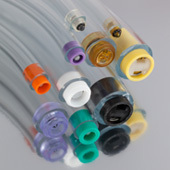 Available plastic options include Polypropylene, Nylon, PVDF, Ultem®, and ABS. O-ring options are Buna-N, EPDM, Viton®, Silicone, Fluorosilicone, Aflas®, and Kalrez®. Opening spring pressures range from 0.11 to 20 PSI. For expert technical assistance or to get started on building your own custom product, call 1-800-338-0404 or email sales@smartproducts.com. Available in a smooth body design and easily incorporated into virtually any mounting design, Series 100 Standard Cartridge Valves are a popular low pressure, low flow control option. Sizes range from 1/4" to 3/4" sizes.